-Put all the curry paste ingredients in an electric blender and blend until its form the paste. 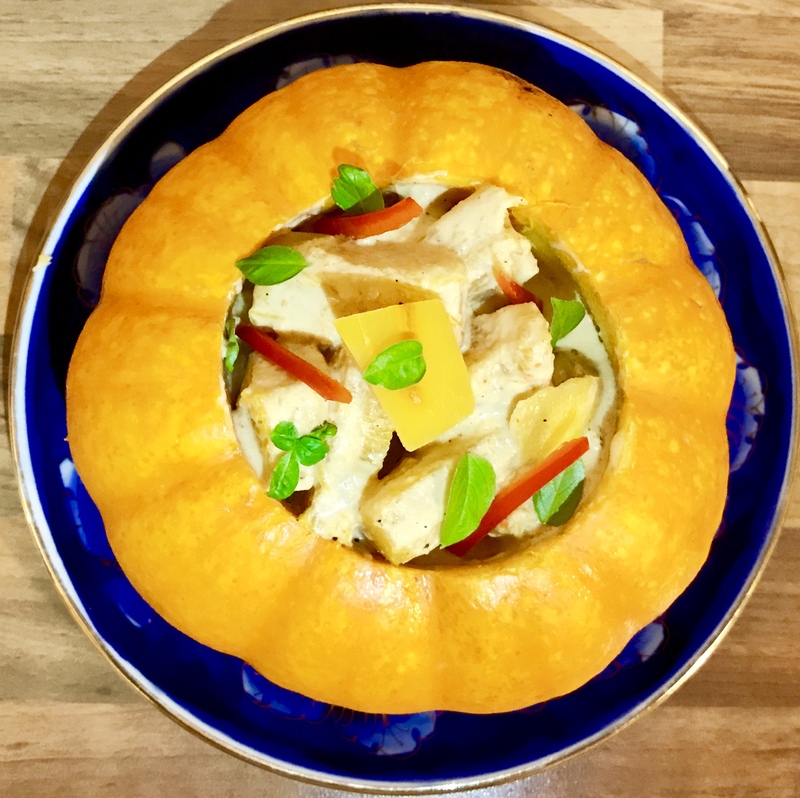 -In mean time, put the chunky chopped pumpkin in the microwave for 3-4 minutes while cooking the curry paste. – Put the coconut oil and curry paste in the pan. Gently cooked it for approx. 2 minutes. Then add 150 ml of the coconut milk and cook for further 2 minutes. -Add the cooked pumpkin, the rest of the coconut milk and water. Bring it to boil. Turn the heat down quickly once the curry reach the boiling point. – Add the fish sauce, coconut sugar, honey, and oyster sauce. Stir gently then leave it to simmer approx. 15-20 minutes. -That is it. 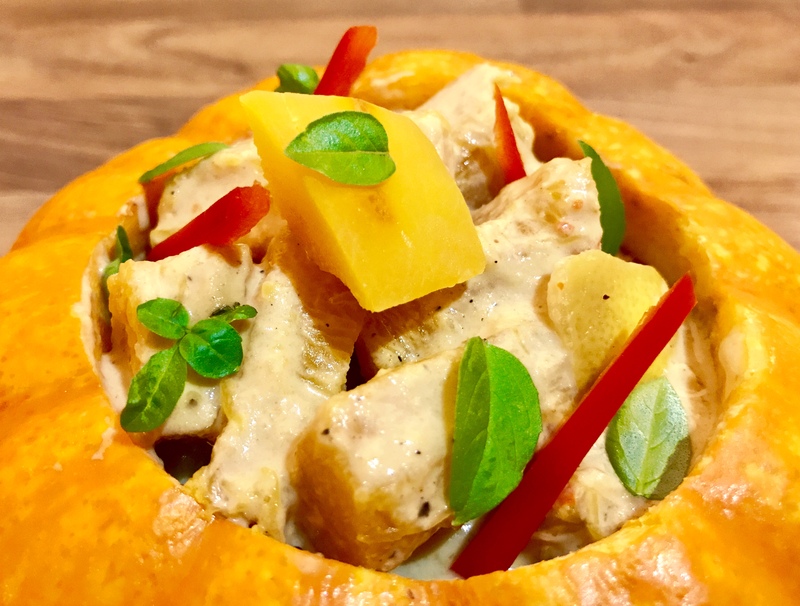 Enjoy this lovely and velvety Thai Pumpkin Curry (Vegan) with steamed Thai jasmine rice for your dinner this week. – Use the Thai coconut milk only. Click here Thai Kitchen Staples for the reason. – Use only 2/3 of a red chilli if you would prefer the milder version. – For vegetarian :Replace the fish sauce and oyster sauce with a vegetable oxo cube and 1/4 tsp of light soya sauce.